For the mom who’s dead on her feet! Motherhood is full of rewards, but it can take a toll on a gal. After her morning java, she’s bright-eyed, bushy-tailed and full of wit and wisdom. However, by the time she’s tucking in her kiddos, that vibrant lady is often dead on her feet and has often morphed into a…MOMBIE! There’s usually no danger when observing a mombie in her natural habitat, as long as you keep a safe distance, offer her a glass of wine, and remain quiet during the chick flick of her choosing. 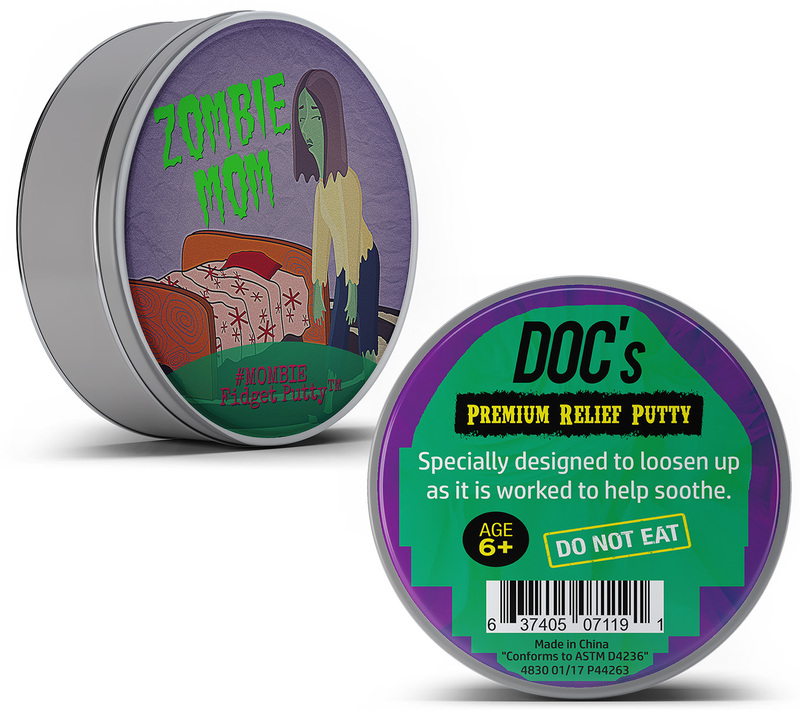 Better yet, soothe that tired mama’s frazzled nerves with a handy tin of Zombie Mom Fidget Putty! 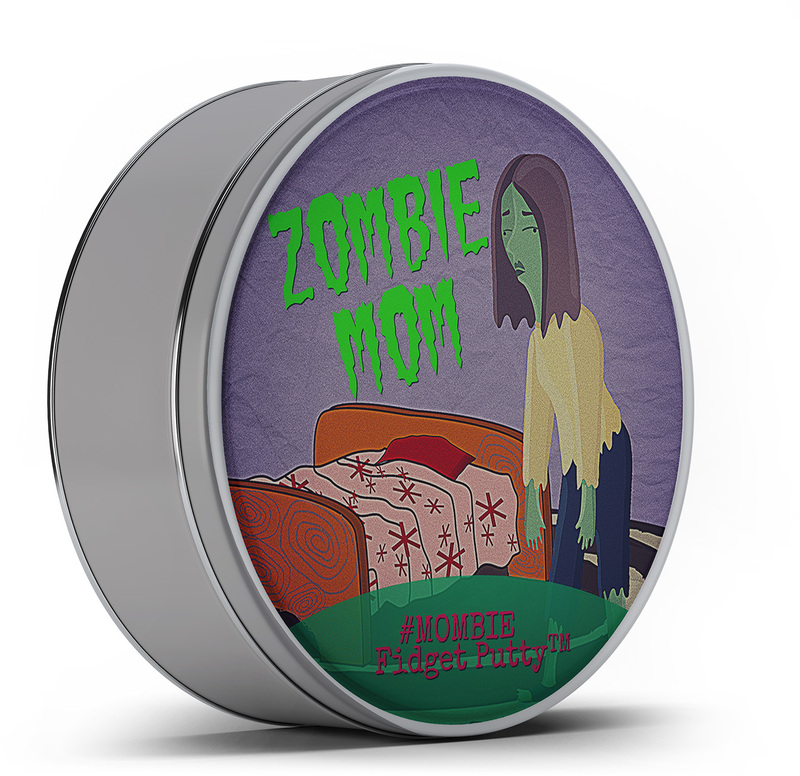 Simply leave a tin of pretty, purple Zombie Mom Stress Putty in a location where the affected mombie will trudge by or crash in exhaustion. Curious, she is likely to pick up the tin, so she knows who to get gnarly with about leaving something else around for her to put away. Don’t move a muscle. Upon inspecting the label, she will recognize the look of the tired, over-stressed zombie mom image and immediately feel a bond to the putty. Once she works the revitalizing reanimation dough in her hands, the stress of the day will start to melt away and return her to a human state. 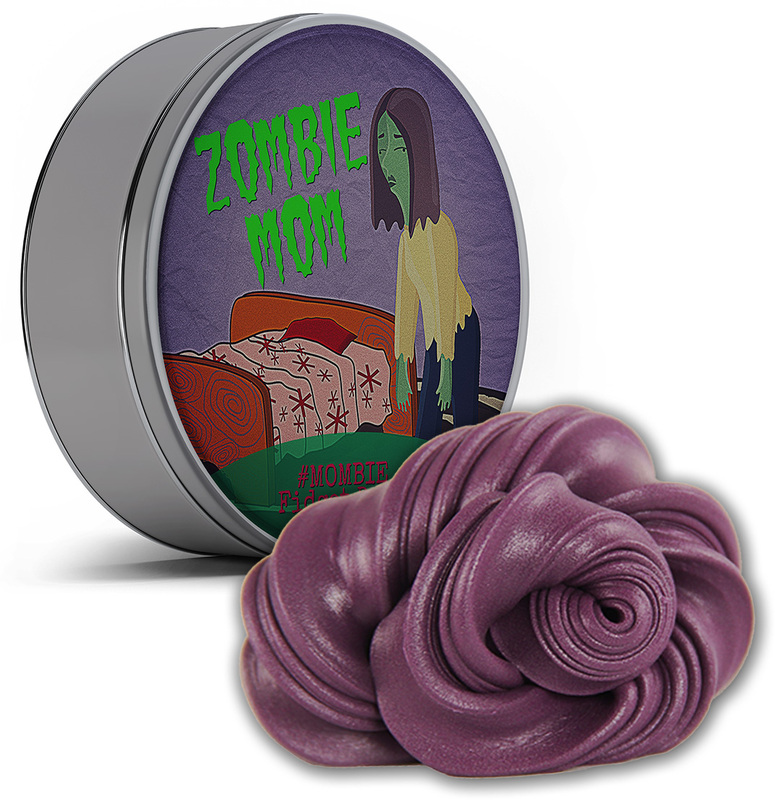 Zombie Mom Fidget Putty comes in a fun, Mombie-themed tin that will make you giggle when motherhood gets real. It’s small enough to fit in a desk, purse, or wherever you hide your emergency chocolate stash. No matter how rough momming gets, quitting isn’t an option, so take out zombie mommy putty and squeeze away the tension. This zany zombie gift is funny and thoughtful for any mother who could use a timeout of her own. 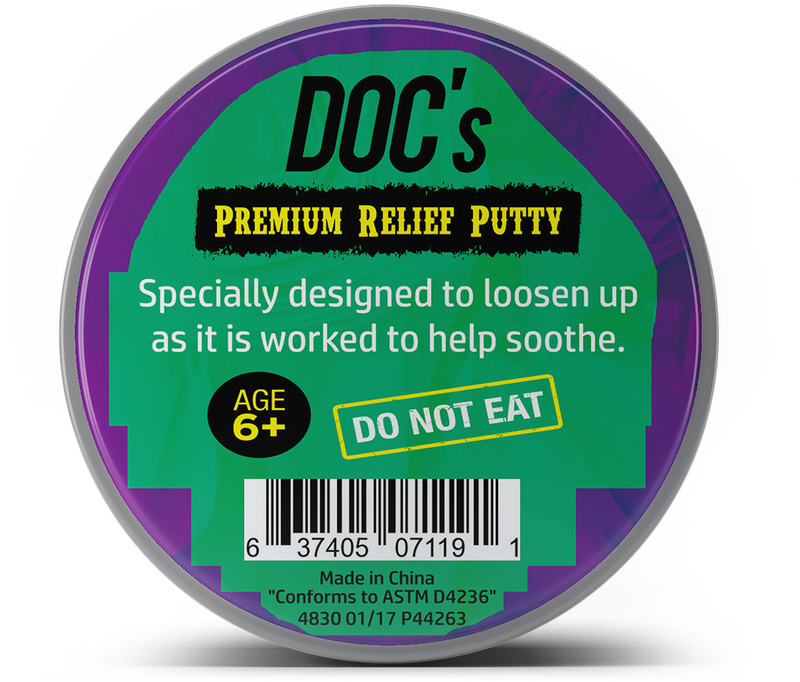 Surprise friends and family with purple stress putty that can take a bite out of their daily stress. It’s a showstopping addition to care packages, gift baskets, birthday presents, Christmas stocking stuffers, or holiday gift exchanges. It also makes an awesome Mother’s Day or thinking of you gift for moms!